I thought this hike was easy. Just a brief but fun bit of rock scrambling before the summit on an otherwise mundane trail. Lucky for me, the weather held out today. It was gorgeous at the top. There were mountain views in all directions. And, a peculiar concrete foundation. There was no summit marker, so I’m not sure if I stood atop the official summit, whatever. Although I rarely spend much time on these summits I hike up to, but it was only 11 am and I had no plans for the rest of the day. I figured I could linger awhile. I chose a nice resting spot to hang out away from the other people who were already up there. The sun felt hot but the air was cool. I sat back and watched a hawk circling overhead. It was a nice day. I ran across a good bit of traffic heading up as I was on the way down. I listened for birds, looked for chipmunks and spied a note scrawled into the dirt that said: “MOOSE ? ?” I looked in the direction of the arrows to no avail. The moose had moved on. 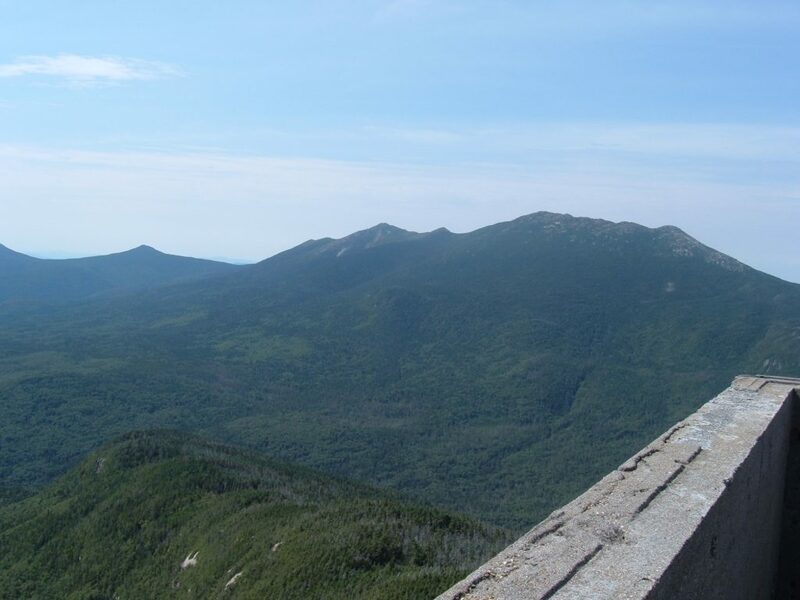 This entry was posted in Hiking, New England and tagged hike366 on August 19, 2005 by Jess B.